Gorgeous soap in a tin. Perfect for a celebratory treat of for just spoiling someone. These 100g soap in a tin are a perfect gift for someone you love or someone who deserves a little treat. 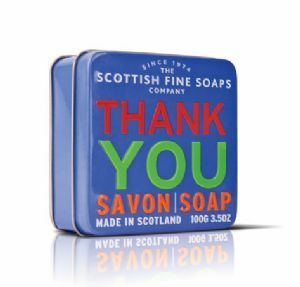 The soap in a tin is a generous 100g bar wrapped in tissue. Choose from a variety of occasions.